Today brings about some sad news, as legendary Broadway star Carol Channing has reportedly passed away. Channing's longtime publicist, B. Harlan Boll, confirmed the actress and singer died early Tuesday morning in her home due to natural causes at the age of 97 years old. "We supported each other, cried with each other, argued with each other, but always ended up laughing with each other," Boll said in a statement. "Saying good-bye is one of the hardest things I have ever had to do, but I know that when I feel those uncontrollable urges to laugh at everything and/or nothing at all, it will be because she is with me, tickling my funny bone." Born in 1921, Channing was perhaps destined to be a famous entertainer. Once she got involved with theater at a young age, Channing knew she had found her calling. She dropped out of college to move to New York, spending the 1940's doing stage work in various productions. Her first big break came in 1949 when the future star was cast as showgirl Lorelei Lee in the musical Gentlemen Prefer Blondes. In part due to her memorable rendition of "Diamonds Are a Girl's Best Friend," the role turned Channing into a bonafide Broadway star. When the musical was adapted as a movie in the early '50s, Hollywood legend Marilyn Monroe would take over the role first made famous by Channing. Perhaps the best known of Channing's Broadways roles was for the 1964 show Hello Dolly!. Because of her performance as lead character Dolly Levi, Channing won the Tony Award for Best Actress in a Musical. To win the award, Channing actually beat out Barbara Streisand for Funny Girl, which makes the feat all the more impressive. Coincidentally, Streisand would later play the same role in the movie adaptation of the story. 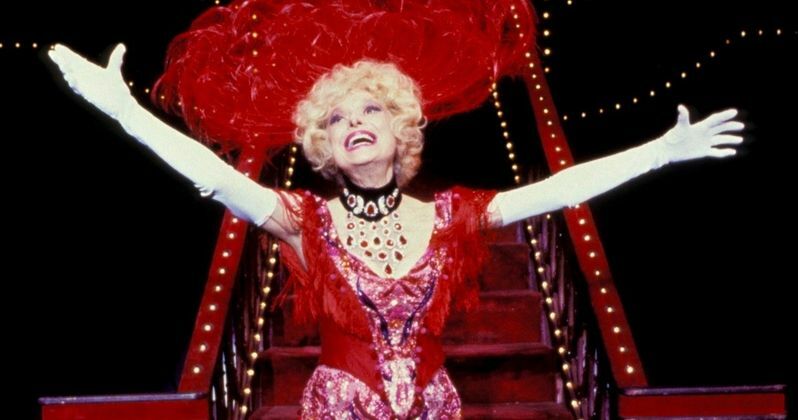 With Dolly becoming the entertainer's signature role, Channing would perform the part in over 3,000 stage shows, reprising the role for a final time as late as 1995. Like many Broadway stars, Channing had also managed to appear in various movie and TV roles over the years. However, it was always clear that performing live on stage was where the star felt most comfortable. Broadway would be where Channing achieved her greatest fame, with her performance in Hello, Dolly! keeping the original cast album in the No. 1 spot on the Billboard pop chart for seven straight weeks. This led straight to an iconic role in the 1967 movie Thoroughly Modern Millie, in which she utters the memorable line, "Raspberries!" The part even earned Channing a Golden Globe for Best Supporting Actress. Even with these accolades, however, Channing preferred to keep her primary focus on performing live. News of the legendary Broadway star's passing leaves us very saddened. Certainly, her body of work is going to be remembered fondly for many years to come. Our thoughts are with the family, friends, and fans of the amazing Carol Channing, and we offer our condolences. This information comes to us from Huffington Post.